Representatives of the Philippine Embassy in Moscow traveled to Vladivostok in the Russian Far East, 9,000 Kilometers from Moscow, to visit a Filipino seafarer detained for allegedly killing two of his colleagues aboard a ship in November 2016. As the incident occurred in Russian waters, the Filipino is awaiting trial under the Russian judicial system. 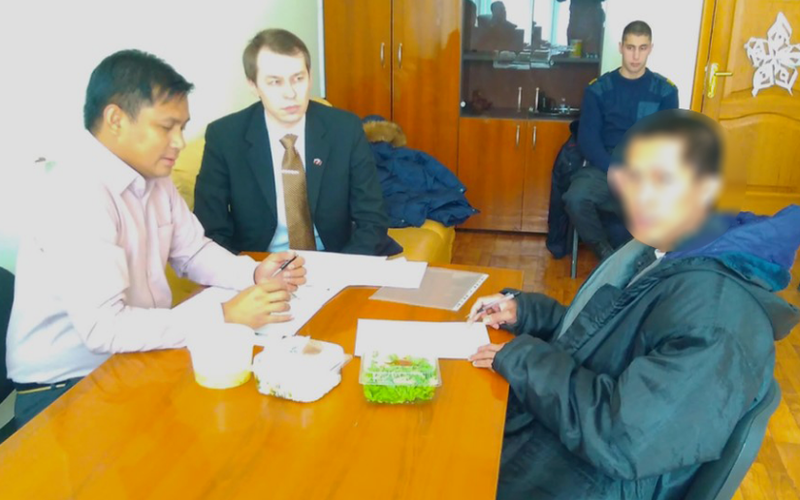 Mr. Christian Baggas, the Embassy’s Assistance-to-Nationals Officer and Mr. Dmitry Khodzko, Embassy Interpreter met the Filipino seafarer on February 9 at the office of the Investigative Office of Vladivostok who was responsible for helping arrange the meeting. During the meeting, the Filipino seafarer was informed in his native language of his situation and was given an opportunity to speak by telephone with his family in the Philippines. The Embassy officials also received letters from him addressed to his family and company in the Philippines. The Filipino seafarer thanked the Embassy representatives for the attention given to his case and informed them that he is being treated fairly. He expressed remorse over his situation. While in Vladivostok, the Embassy representatives also met with the Investigators in charge of the case as well as the lawyer assigned to the Filipino seafarer. The Embassy continues to monitor developments regarding the case.